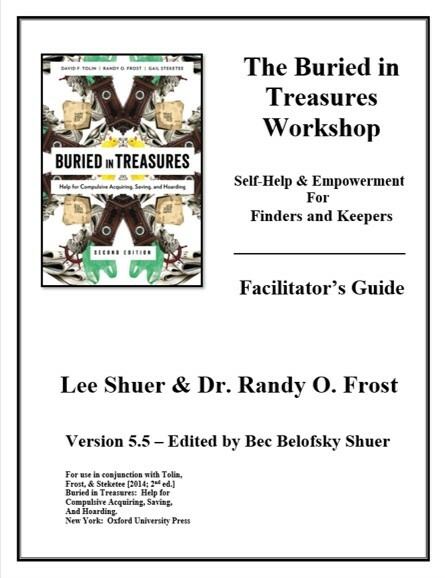 We are currently using version 5.5 of the Buried in Treasures Workshop Facilitator Guide. If you have an older version, you will want to update to this format. For those of you using "Fall 2016" or earlier, or an earlier copy of Version 5, you will want to use the new guide. To request a free electronic copy of the BIT Facilitator's Guide using our contact form. Check back every so often to see if a new version has been released! Curious about the BIT Workshop? Click here to hear from some folks who have been a part of the group themselves! The video was produced by SalvoCare Eastern in Melbourne, VIC. Enjoy! While we have made great strides in developing a therapy for hoarding/clutter problems, obstacles sometimes prevent people from getting this treatment, such as the unavailability of trained therapists, the costs associated with therapy, or the personal reluctance to engage in therapy. Alternative strategies can provide help in such circumstances. In response to a request from our local Hoarding Task Force, we have developed an action-oriented self-help support group program called the Buried In Treasures Workshop. The Buried In Treasures Workshop is a facilitated support group that is highly structured and time-limited. The workshop consists of 16 sessions spread over 16 weeks. 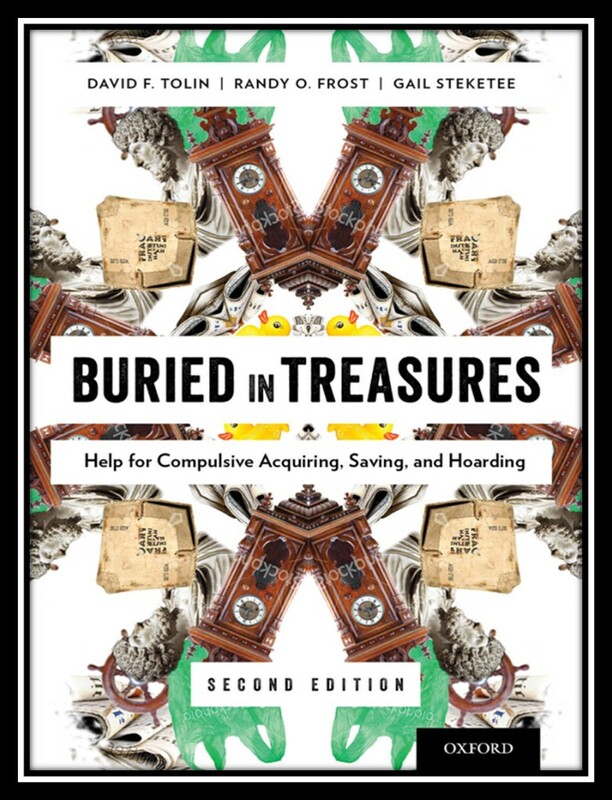 Each session focuses on a chapter in our book, Buried in Treasures: Help for Compulsive Acquiring, Saving, and Hoarding (Tolin, Frost, & Steketee, 2nd ed. 2013, Oxford University Press). The sessions are facilitated by a person who may have (or have had) hoarding disorder or a special interest in it, and may or may not have a clinical degree. 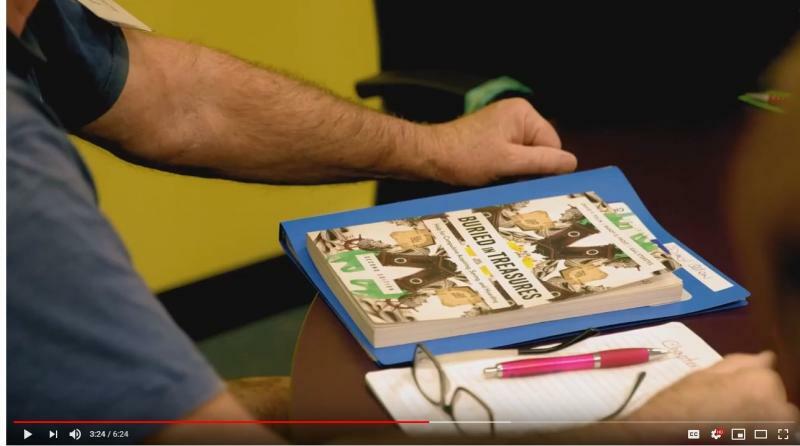 Activities include discussion of each chapter, exercises from the book dealing with acquisition, discarding, and disorganization, and homework between sessions. Our initial research (based on a 13-week version of the workshop) indicates that up to 73% of participants are much or very much improved by the end of the group (see Frost, Pekareva-Kochergina, & Maxner, 2011), and that participants improve significantly more than people on a waiting list for the group (Frost, Ruby, & Shuer, in preparation).